Bridge Group/HEPI Policy Seminar: University Tuition Fees – what is a fair deal for students? In partnership with the Bridge Group, HEPI convened a policy seminar to debate the future of university tuition fees. This topic has received a great deal of political and public attention over recent months, particularly following the Labour Party’s manifesto pledge to write off student fees. But confusion and uncertainty abounds over the fairest way to fund the higher education system to ensure that it is accessible and widely available for students from all backgrounds. Our seminar provided an opportunity to clarify thinking on the subject and established key areas for reform to promote greater social equality. 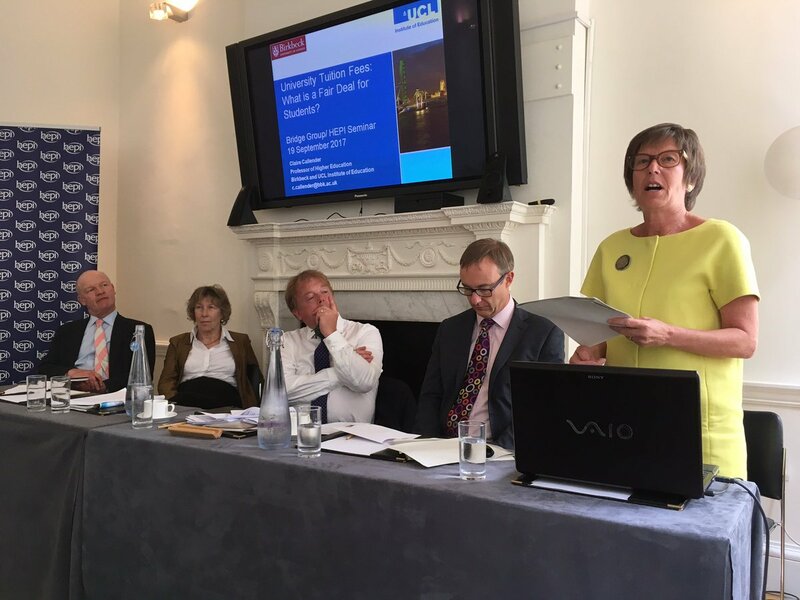 We were joined by three leading experts on the higher education funding system who shared their evidence and ideas and then participated in a round table discussion, chaired by Nick Hillman (Director, HEPI). Is HEPI aware of the student finance England ‘clawback’ . one case study on this issue involves a single parent student at University Of East London being sent a £58000 bill from SLC, Furthermore a final demand of payment £28000 by University of East London credit control (Both Dated 17-09-2018). This has prevented the student from progression to Masters (where a full , unconditional offer is in place ).